1. This pom pom knit beanie is only $15 - and comes in three colors. 2. I love this mini Christmas tree that is only $13. 3. This cute bell sleeve sweater is on sale for only $25. 4. This velvet top is only $20 and comes in four colors. 5. This comfy v-neck sweatshirt is only y $20. 1. These teddy bear style slippers look so warm and comfy - and are only $25. 2. This relaxed v-neck sweater is under $40 and comes in 5 colors. 3. I love this rich mustard yellow sweater with bell sleeves. 4. This cute ruffle dress would be perfect for your Christmas parties and is under $50. 5. A trio of lipsticks in three great colors that are under $40. 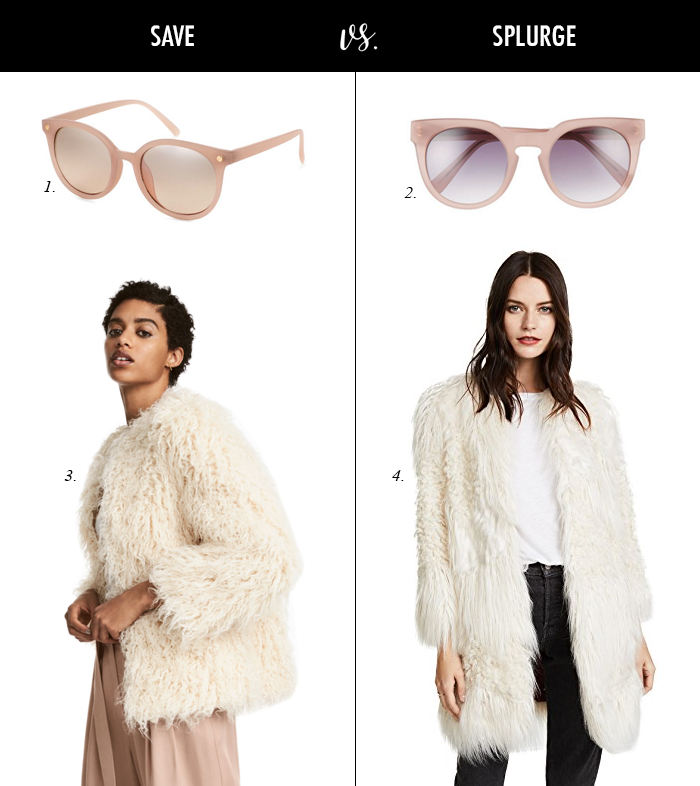 Those fuzzy coats have me swooning!! Such a cute look and I just bought one of those beanies. Have a wonderful day my friend!! How fun is that white jacket? 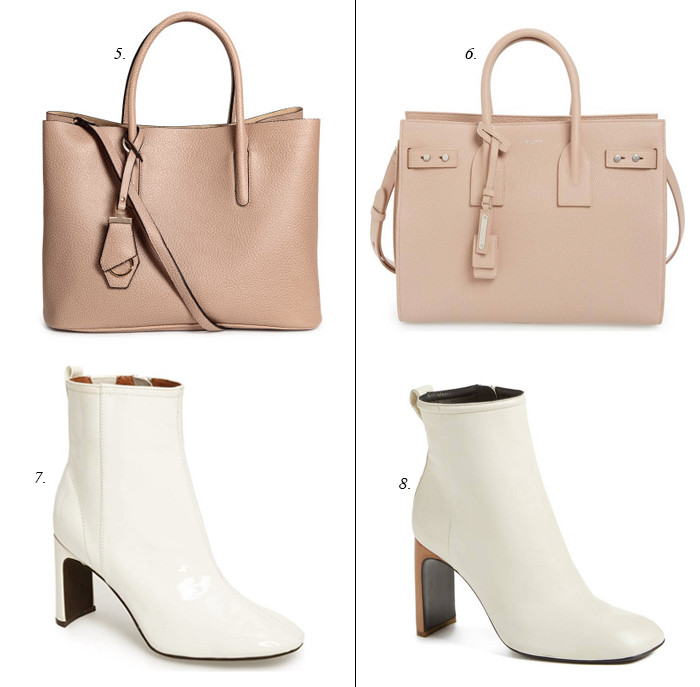 I love all of these picks, especially those white booties. You always find the best dupes! I love those sunglasses and handbag! I love posts like this, Lisa! You find such great pieces, plus I love how these could all work together in an outfit! OH fuzzy coats how I want one of you, but where I live you'll never get worn, sigh.